Whether you come to the UK on business or pleasure, a visit to the UK offers a web of attractions to please even the critical tourist. Most people have a list of places they want to visit long before they plan a trip to the UK. Tourists will quickly realize that the UK offers more than they ever imagined. Travel tips to help navigate through the many options can help you plan your visit. Best of all, if you are a native English speaker the UK offers a piece of Europe in a language you will understand. The currency in the UK is commonly called the British pound, although its official name is the pound sterling. As exchange rates fluctuate, it is good to check the current rate before you go. Keep in mind that the pound is one of the highest valued currencies in the world and prices in the UK can seem pricey. Nonetheless a trip to the Uk is possible even on a tight budget. The UK is famous for its Royal Family. So it is no surprise that the government in the UK is called “Her Majesty’s Government”. It is led by the Prime Minister, currently David Cameron, and is a parliamentary democracy held accountable by elected representatives. The best time to visit the UK depends entirely on you. As a tourism capital, the country is open to tourism all year round. Weather in the UK is always unpredictable and it is good to be prepared for rain or shine. The heaviest rainfall is in November. In spring you will be privy to the green countryside, autumn affords the tourist bright colored landscapes, and the summer brings the nicest weather, adorning flowers, and plenty of festivals. July and August are filled with tourists. November through mid-March is the tourism off-season, with an exception around the Christmas holiday. The off-season offers the benefits of costing less, less fellow tourists, post-Christmas sales, and excellent opera and theater. If you arrive at London Heathrow, you will be in the world’s busiest airport. More passengers pass through this airport every year than any other. Getting around the UK is no problem. Transportation options are abundant and include the famous black cabs of London, the even more famous double-decker red buses, the equally famous London Tube, and an excellent rail and bus system easily connecting you to the rest of the country. There are also plenty of cruises available for experiencing the British Isles or experiencing the UK by water. There are also local travel tour guides offering tours that can take you where you want to go. Despite all the transportation options, you will likely want to take in some of the city and country on foot. Keep in mind that whether you are walking or driving, drivers drive on the left-hand side and this may require some adjustment if you are not used to this. Look for reminders written at crosswalks for pedestrians to look left before crossing. The UK boasts many cities worth a visit. If you must narrow it down, you may want to try to visit the popular ones. London of course is a must-see if you have never been before, and even if you have, there is likely much you missed the first time making it well worth a return visit. Manchester is home to Manchester United FC which is a highlight for European football enthusiasts and is also the first industrialized city offering plenty of shopping and dining opportunities. Liverpool is a world heritage site and has the most tourist sites outside of London. Oxford and Cambridge are famous university towns offering prestigious education; whereas Bath is famous for being a spa town and for its roman baths. Stratford Upon Avon is Shakespeare’s birthplace and Salisbury has a well-known cathedral and is also close to Stonehenge. Brighton is a seaside resort. Regardless of the cities you choose you are sure to discover a magnitude of attractions. The UK is brimming with history and art, as well as plenty of natural beauty. Attractions include museums, castles, gardens, parks, beaches, universities, festivals, shopping districts, and more. There are also many festivals and events. What to see really depends on what you are interested in. There are so many attractions that the UK is one place where you will not need to waste time with attractions that do not interest you. Durham Castle and Cathedral, Studley Royal Park, Stonehenge, the Castles and Town Wall of King Edward in Gwynedd and Pontcysyllte Aquaduct and Canal are all World Heritage Sites. Historic sites in London include: the Tower of London, Westminster Abby, the Palace of Westminster, Hampton court Palace and St. Paul’s Cathedral. 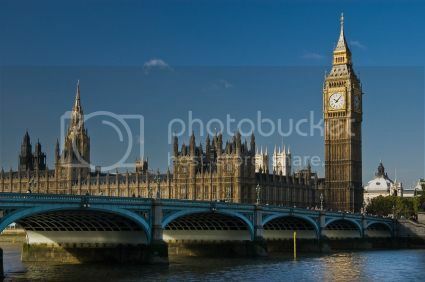 Other London attractions include the London Eye, Big Ben, Hyde Park and Buckingham Palace. If it is raining and you need an escape, or if you fancy a museum, you are in luck as the UK offers some of the finest. The British Museum is well worth a visit and is open every day with free admission. The Museum of London is the world’s largest urban museum and allows visitors to explore London over the centuries. The Natural History Museum is a treat for the whole family and is also free of charge. Other museums you do not want to miss include: the Liverpool Museum, the Museum of Science and Industry in Manchester, the Imperial War Museum, and the Science Museum. Since the UK is an island there is a vast number of famous beaches attracting tourists to its coast. The seaside resorts of Devon, Cornwall, Blackpool and Scarborough are favorites. Rhossili Beach (South Wales) offers breathtaking cliffs, Blackpool Pleasure Beach is alive with rides and shows for the whole family, Croyde Bay (Devon) is ideal for surfing and has a surf school, and Rock Beach (Cornwall) is the place to see celebrities, including the Princes. For the sports fan, the UK is home to cricket and rugby. Horseracing is a prominent spectator sport and Newmarket is considered the home of horseracing. The oldest racecourse is Chester Racecourse which dates back to the 16th century. A great sports event to catch in London is the Boat Race on the River Thames. The UK also offers plenty of opportunity for surfing. While in the UK tourists will not want to miss the excellent shopping opportunities. London in particular has much to offer. A trip to the world famous department store Harrods and the world famous toy shop Hamleys is a must. For tourists looking for antiques or second-hand deals, Portobello market is the place to go. You can find all the big fashion labels in Covent Garden. And Oxford Street, Bond Street, and Regent Street will delight shoppers. As the day comes to an end in the UK and many of the attractions close for the night, nightlife begins. The nightlife in the UK is an attraction in itself and is definitely a great way to end a perfect day of sight-seeing. For tourists who like nightlife, London is the place to be in the UK and perhaps even in Europe. Liverpool and Manchester are close rivals. While English pubs close at 11pm, clubs are open into the early hours where you can dance to popular music, much of which originated in the London clubs. In fact, live music in the bars and clubs is making a comeback and adds to the scene. A busy day of sight-seeing in the UK will likely leave you hungry. But dining does is a big part of the adventure. While British cuisine is not as well known as some of its European neighbors’, this is not because it is any less tasty. The UK is famous for its fish and chips and afternoon tea. While delightful, there is much more to traditional cuisine. One of the oldest traditional meals is the Sunday roast consisting of roasted meat, potatoes, and vegetables with gravy. You may also want to try English sausages, meat pies (including those topped with mashed potatoes instead of pastry such as shepherd’s pie and fisherman’s pie), cured meats and fish, one of many variations of sandwiches (after all the name came from the 4th Earl of Sandwich in the UK), authentic cheddar cheese first made in the British town of Cheddar, and a number of puddings. Of course the UK offers excellent international cuisine as well, particularly Indian food. For traditional British food, try Rules Restaurant (35 Maiden Lane, Covent Garden, London) established in 1798 and the oldest restaurant in London. Other restaurants to try for British cuisine include: Quo Vadis (26-29 Dean Street, London) is one of London’s most famous restaurants and Hix (66-70 Brewer Street, London) named after acclaimed British Chef Mark Hix. For a fabulously unique high-end dining experience, The Fat Duck (High Street, Bray, Berkshire) is sure to fit the bill in every way. This restaurant is world-renowned for its dining experience and its Chef Heston Blumenthal won the Chef’s Choice Award in 2010. For dinner with a view, consider Tides Grill (Havannah St, Cardiff) where you can view the entire British Isles while dining. For a more affordable treat, consider St. John (26 St John Street, London), a restaurant that is a regular on the World’s 50 Best Restaurant List. If you are dining on a budget or just want a cheap eat you have several options. If you like seafood, fish and chips is always a good bet. Try the Golden Fish Bar (Farringdon Road, London), a very popular restaurant that has been in business for 150 years. However, London’s oldest fish and chip shop is Rock & Soul Plaice, established in 1871, and is a great bet on a summer evening. If seafood is not your thing, try a sandwich shop. Benjy’s is your cheapest bet and Pret A Manger and Eat are your nicer shops. Chinese and Vietnamese food is well-priced. Try any of 80 Chinese restaurants in London’s Chinatown. The UK also has plenty of supermarkets if you want to make something yourself. The UK offers plenty of accommodation options. A quick online search will give you ideas of where to stay or you might try one of these hotels: Lindeth Howe Hotel (Windermere, 4 stars) overlooks Lake Windermere and is where world-famous Beatrix Potter was inspired for the books Timmy Tiptoes and Pigling Bland. Beatle fans will appreciate a stay at Hard Days Night Hotel (Liverpool, 4 stars) whose luxury rooms and artwork are dedicated to the band. If a medieval castle is more your style, you will want to try Ruthin Castle Hotel (North Wales, 3 star) which dates back to 1277 and has survived medieval conflict and high society secrets. Eloping couples can enjoy the old and new while getting hitched at the world famous Old Blacksmiths Shop where couples have eloped for the past 250 years and stay at the new Smiths at Gretna Green Hotel (Gretna Green, 4 star) next door. For those travelers looking for top resorts, some places to try include: Chewton Glen (located in Hampshire) offers luxury accommodations at the edge of the New Forest and incorporates a health and country club. Another option is the Bodysgallen Hall and Spa (located in Wales) or Brown’s Hotel (located in London) which is a glamorous premiere London destination. For the adventurous tourists, the UK offers many camping options. Luxury camping in yurts is available at Brecon Beacons Yurt (Wales). If you are traveling with your family you may want to consider a family friendly campsite at Hidden Valley Park (Devon) or Woodland Tipis (Herefordshire). For those who prefer camping in isolation Three Cliffs Bay (Penmaen, Swansea) boasts it is one of the most beautiful places in Britain. There are also plenty of campgrounds by the sea. North Morte Farm’s (Woolacombe, Devon) campsite is only 500 yards from the beach and a five minute walk to a local village. The downside to your visit to the UK will be when your visit ends.